Sure, you can get a blowout for a first date, your best friend's birthday party, or a big presentation at the office. But you can also get one just becuase it's Monday. Ahead, our favorite salons that serve up gorgeously bouncy blowouts. 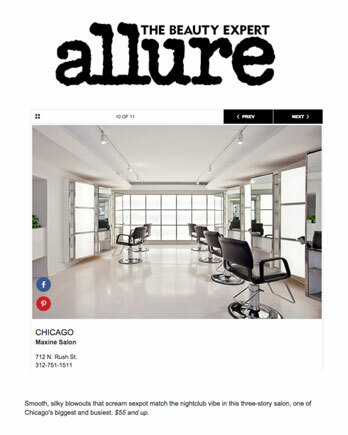 Smooth, silky blowouts that scream sexpot match the nightclub vibe in this three-story salon, one of Chicago's biggest and busiest. $55 and up.